Here is a fortress on the edge. 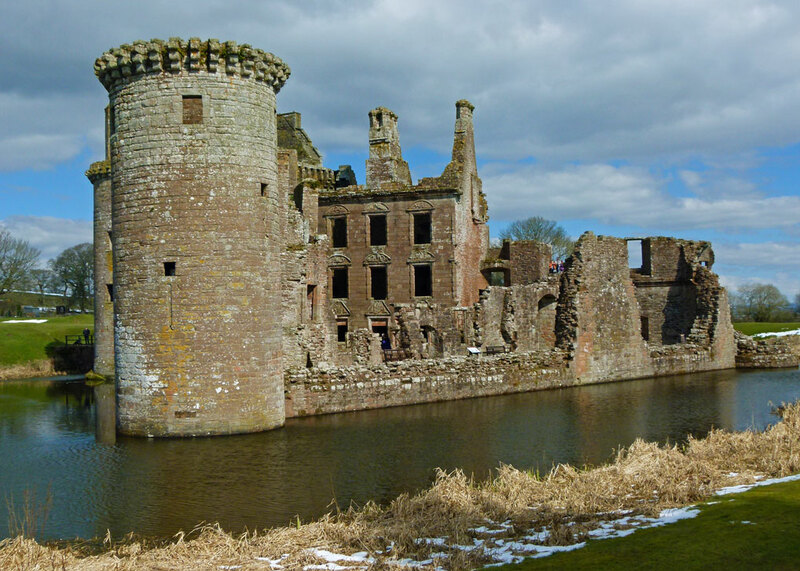 Caerlaverock is a mighty Scottish stronghold on the banks of the Solway Firth, in the border battleground of the two old protagonists, Scotland and England, and which finally came to grief in the civil war of the 17th century. On first seeing a picture of this most photogenic ruin (present company excepted), I marked it down as a place that just had to be visited. It reminded me a little of Bodiam, in Sussex – the same romantic allure of the medieval castle’s soaring towers reflected in the moat. Then there’s the name – it fairly rolls off the tongue with the same mystic magnetism of CS Lewis’ imaginary Cair Paravel. What clinched it was reading an account of the English siege of 1300 in Robyn Young’s ‘Renegade’, part of her excellent fictional series on Robert the Bruce. The name, according to my trusty dictionary of place names, means ‘fort in the elm trees’. It is also, apparently, the only triangular castle in Britain. It is certainly evocative. The striking backdrop softens the building from a distance, but when it confronts you up close and personal it’s as austere and unwelcoming as any respectable medieval fortification should be. The gatehouse is a threatening construction, the entrance swallowing you like some gigantic mouth. Originally, the rooms over the gatehouse were the lord’s private apartments. All about are features that were at the forefront of medieval castle technology – the portcullis, arrow slits and machicolations designed to help defenders drop objects on the attackers below. A second moat once surrounded the present one and the area around that would have also been part of the complex, containing workshops, stables and domestic accommodation for the castle’s population. Traditionally, hereabouts was the territory of the Nithsdale lords in the old British Kingdom of Strathclyde, conquered by the Scots in the 11th century. Sometime around 1220, the Scottish King Alexander II granted the lands to a Sir John de Maccuswell – henceforth known as ‘Maxwell’. I’m not sure exactly where the Maccuswells originated from, but the story is that Maccus Well is a pool in the River Tweed near Kelso, named after a Norse chieftain, Maccus. Anyway, John Maxwell built a castle on the site of an old British fort, closer to the Solway than the present castle. At one time this location would have been on an important trade route, and close to a crossing over the Solway to part of what is now England, but which was once in Scots’ hands. However, the castle was abandoned after just 50 years, because it was prone to flooding and the Maxwells felt they needed something a little larger, grander – and drier. The site of the old fort with its moat is clearly visible about 200 yards to the south of the ‘new’ castle. The whole area is decidedly slushy and is, appropriately, adjacent to a wetlands nature reserve. Amongst other things, this is home for the endangered natterjack toad. I must say that scores of these creatures in the waterlogged old moat seemed to be frantically doing all that they possibly could to prevent their species being endangered, the little tinkers. Maybe the threat of extinction is an aphrodisiac; the noise was incredible – like loads of plastic combs being strummed, but amplified. 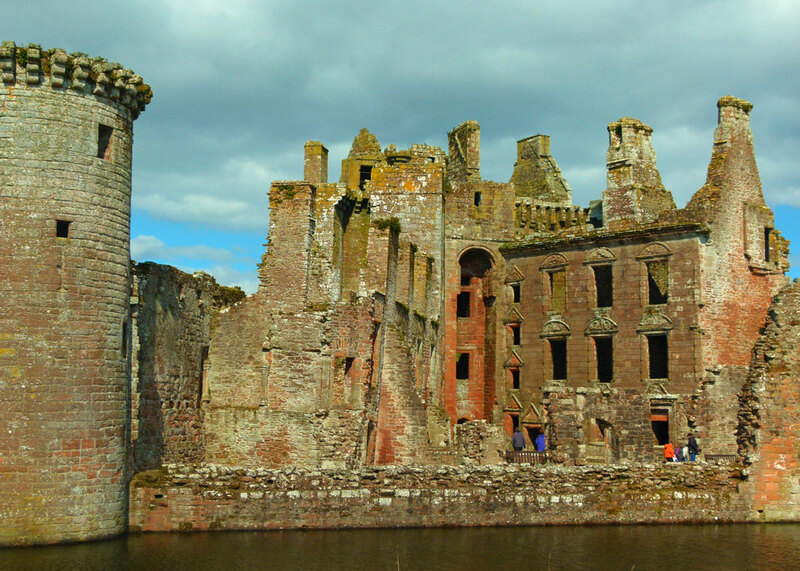 Let’s return swiftly to the Maxwells and their new Caerlaverock Castle. It was built by Sir Aymer Maxwell, John’s brother, completed sometime in the 1270s and occupied by Aymer’s son, Herbert Maxwell. The late 13th and early 14th centuries were the years of the Scottish Wars of Independence, triggered by a crisis over the succession to the Scottish throne, oiled by the English King Edward I’s notion to achieve primacy over the whole of Britain – and exacerbated by Scottish nobles with divided loyalties who could barely agree the time of day. Despite Herbert swearing fealty to Edward, it seems that the Caerlaverock crew attacked the English garrison at Lochmaben in 1299. 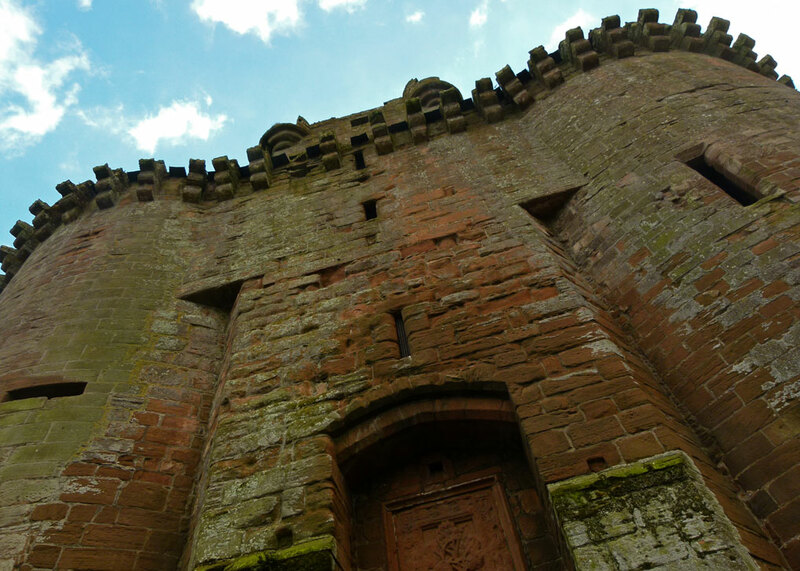 Caerlaverock was subsequently besieged by one of Edward’s invading armies in 1300 – and there is a detailed account of this. 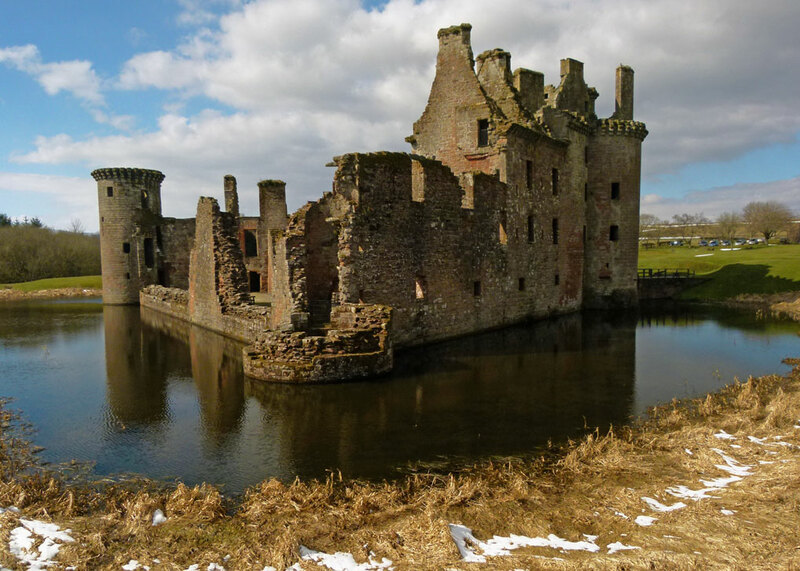 The English had a force of 3,000, with 87 knights, all the latest siege equipment – and were flabbergasted to discover, when the castle surrendered after two days, that the defenders of Caerlaverock numbered just 60. The English hanged a few from the castle walls just for fun, and let the rest go. 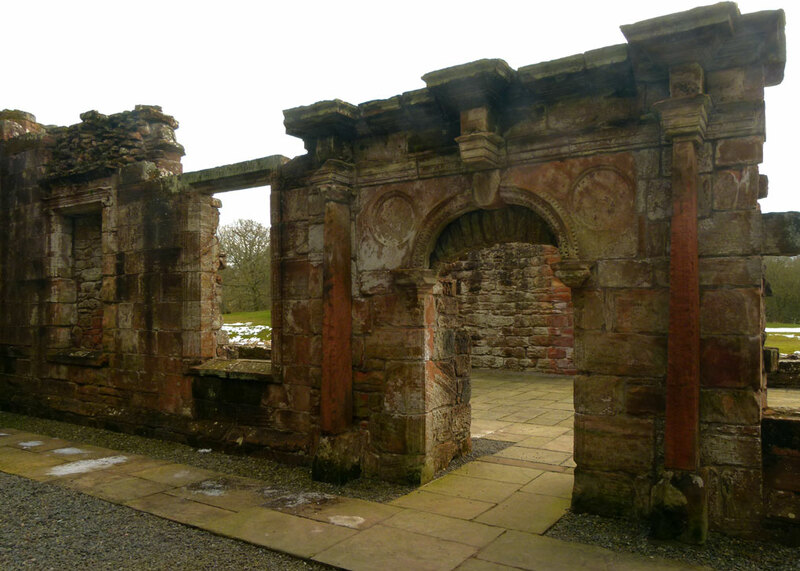 The fortunes of Caerlaverock thereafter reflected the ebbs and flows of the Maxwell family’s allegiances, initially to the local Balliol family, which put them on opposing side to other Scots. 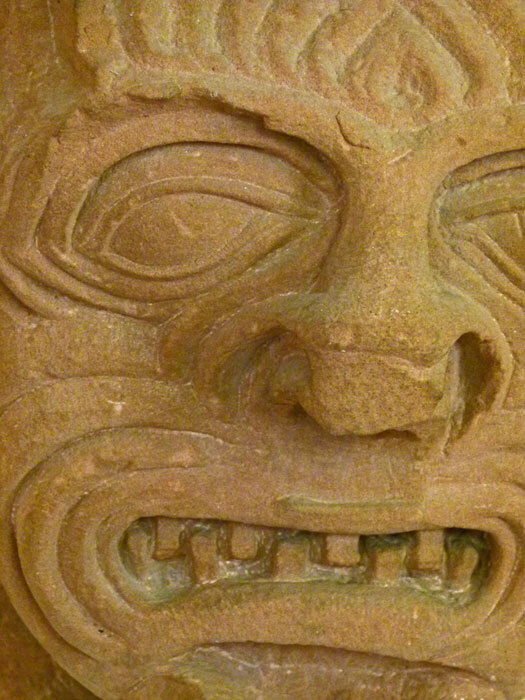 The English returned Caerlaverock to Herbert’s son, Eustace Maxwell, in 1312 – but then Eustace decided to support the claim of Robert the Bruce and Caerlaverock was besieged again, this time unsuccessfully. By the 16th century, the Maxwells were certainly firmly on the side of the Scottish crown, fighting the English at Flodden in 1513 and, closer to home, at Solway Moss in 1542. The English captured the castle again in 1544. The Maxwells were also staunch Roman Catholics and may well have supported the failed Spanish invasion of their old enemy, England, in 1588. That kind of thing became a bit more difficult after 1603, when King James VI of Scotland also became King James I of England. 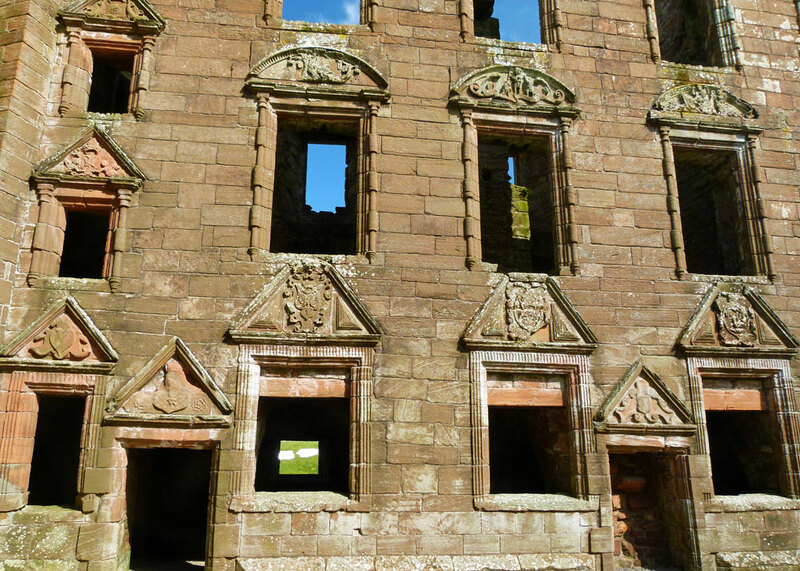 One of the most astonishing features of Caerlaverock Castle is the wonderful home that the Earl of Nithsdale, Robert Maxwell (no relation to the dodgy deceased press baron), built within its walls in 1634. The remains of the medieval lord’s lodgings in the old castle struck me as extremely modest; but even in ruin the elegant renaissance house, with its ornate carvings and symmetry took my breath away. It must have been very beautiful and would not have been out of place in any major European city. Curiously, it is known as ‘the Nithsdale Lodging’ – not Maxwell House. But the Nithsdale Lodging had a regrettably short life. Robert’s loyalty to King Charles I, together with his religious beliefs, resulted in a 13-week siege of the castle in 1640 by an army of Covenanters – extreme Protestants. The garrison was forced to surrender and the victors took down the castle so that it could no longer be used. It is as though part of it has been surgically cut away to immodestly reveal its innards. 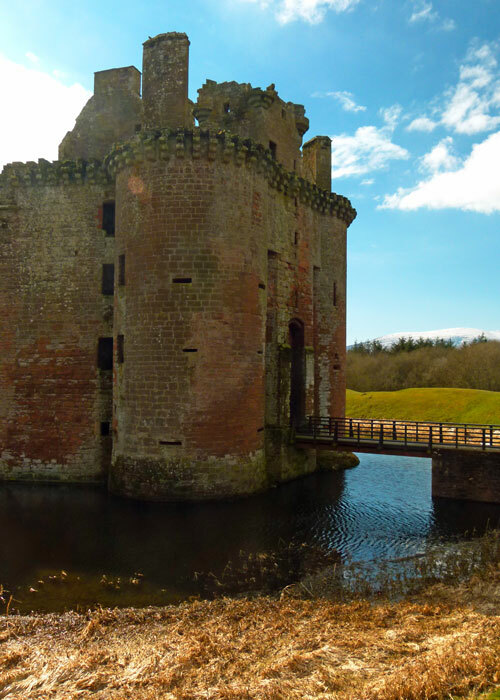 Caerlaverock Castle is now in the hands of Historic Scotland. And I must say they are doing a really terrific job – the loos are clean, the café serves good coffee, nice snacks and the people are exceedingly friendly. However, I did have minor reservations concerning a slightly naff video about the 14th century siege, with Tony Robinson taking the lead in period costume. Don’t get me wrong – I like Tony Robinson very much and will happily sit and watch back episodes of ‘Time Team’; but I suspect this particular project was someone else’s cunning plan, not Tony’s. Of course, it doesn’t help that I’m deeply envious of what seems to me such a great way of making a living. Anyroadup, Caerlaverock Castle is a classic place to visit in Dumfries and Galloway, part of Scotland that people all too often pass by. 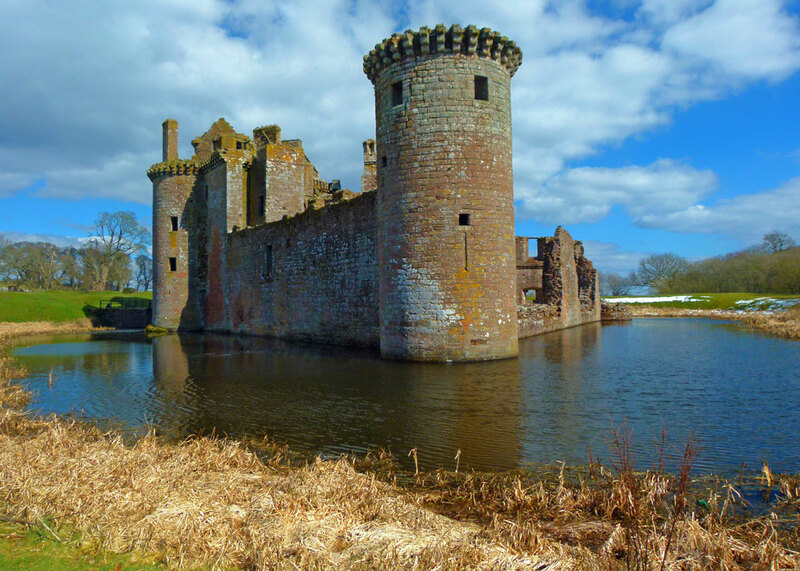 Find Caerlaverock and other castles in the attraction directory. I think you have done an amazing job here. I thoroughly enjoyed reading (and learning) a little more about my ancestors. I feel some pride that some thought the castle worthy of saving. It was abandoned at the time of the ’45 because the poor rellies were about to loose their heads for treason! Thank you so much for your kind, and flattering, comments! Amazing to have a place like that in your history – slightly envious… Hope you enjoy the rest of A Bit About Britain. ‘machicolations’. Gosh. Gotta look that one up! Ah – gaps in the stonework underneath battlements through which defenders could pour boiling tar/water etc onto attackers, or lob stones on top of them. Cutting edge stuff. I love castles. This post is very interesting. Very interesting! Nice to hear about a orner of Scotland! Enjoyed this post about the Scottish castle and I also like architecture, especially historic sites. Joined your mailing list, as I couldn’t see any way to use Google connect here. I’ll be back to read more. Thanks for joining the list. I’m sure GFC should work – though WordPress and Blogger do have some irritating issues. I’ve struggled following friends on Blogger since changing to WordPress. It’s amazing to see these places right in the water. Thanks for the tour and history lesson. Very interesting. The carvings are special. Fascinating place. I’m only sorry I didn’t get to see it when I was last in that neck-of-the-woods. One to note down for future reference. Great post. It’s a magnificent castle. Smashing post. Much better photos of the castle than I managed on my visit as it was a dull overcast day. You really hit the jackpot there with the sunlight bringing out the architectural features clearly. Seen loads of photos of it over the years and yours are the best. Not flattery- just true. Well, given the standard of your photography, I am very flattered anyway; thank you! I love seeing damaged castles and imagining how it was when people lived in it. Yes, some of them come alive. Great shots and history. I like all the photos but the first and last are my favorites. It’s a very photogenic place. What a lovely remains, not anything like its true beginnings, but still a history worth exploring and viewing. Beautiful setting it is. I visited Bodiam Castle many years ago, and I really enjoyed the visit. Once again,many thanks for the great info! As it’s the ‘Bank Holiday’ weekend in the UK, I wonder if you may be out travelling? I always think it best to stay at home, and avoid the crowded roads. LOL! I’ve been to Bodiam several times – it’s great; lovely part of the world too. No, didn’t venture far over the Bank Holiday! It looks like a marvelous place to explore!